It’s time to start seasonal allergy prevention! 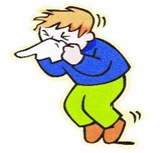 I have started to see students reporting seasonal allergy symptoms which include sneezing; stuffy or runny nose; cough and scratchy throat due to postnasal drip; puffy, watery, itchy eyes and itchy mouth or skin. Allergy symptoms are uncomfortable and can affect a student’s ability to learn. Seasonal allergic rhinitis usually develops after a few years of exposure to an outdoor allergen which is why students who have never had an issue may start to exhibit symptoms. In early spring, allergies are caused by the pollen of certain trees and shrubs. A warmer winter can cause plants to pollinate early, meaning sufferers’ symptoms start up sooner than usual. A rainy spring can also promote rapid plant growth and lead to an increase in mold which can lead to symptoms. If your child has seasonal allergies, they should ideally start allergy medicines at least two to three weeks before the beginning of the season and continue them through the end. Most allergy medicines are far more effective at preventing symptoms than they are at treating them once they start. That’s because the runny nose, stuffiness, itching, sneezing, and watery eyes result from a whole cascade of events in the immune system, and once it gets going it’s hard to stop. Please consult your child’s doctor about the best way to manage their symptoms. If oral medications (Claritin, Allegra, Zyrtec, Xyzal) and/or nasal sprays (Nasacort/Flonase) and/or eye drops are recommended, these are best used at home daily during allergy season even when symptoms appear to be under control. Hoping for an early and sunny spring with minimal allergy symptoms!